Promoted and organized by Kent State University Florence, the Forum has developed an occasion for research and discussion that brings to our city some of the main observers of the European city together with the most respected architects who substantiate its transformation and, with the administrators, direct its developments. 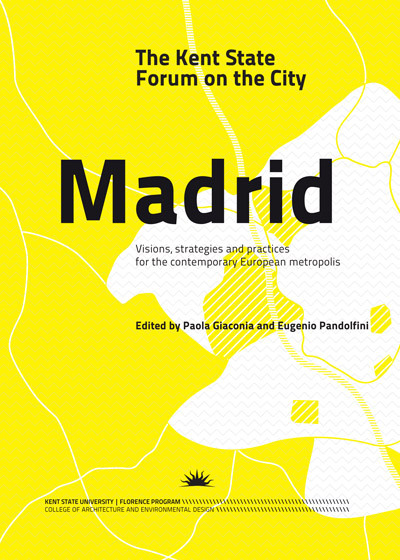 The two publications introduced here below relate to the 2012 edition of the Forum on the City, dedicated to Madrid, and to the 2013 edition, dedicated to Berlin. Edited by: Giovanni Damiani, Thilo Folkerts, Paola Giaconia. 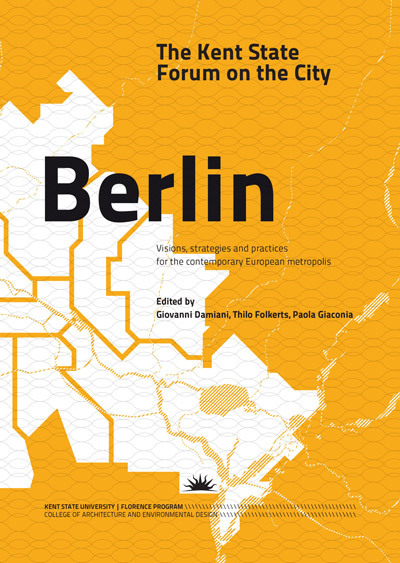 With contributions by: Giovanni Damiani, Véronique Faucheur, Thilo Folkerts, Paola Giaconia, Jeanette Kunsmann, Christof Mayer, Marc Pouzol, Ali Saad, Luka Skansi. With contributions by: Burgos & Garrido arquitectos, Andrés Cánovas Alcaraz, Domenico Di Siena, José María Ezquiaga Domínguez, Juan Manuel Fernández Alonso, Davide Tommaso Ferrando, Paola Giaconia, María Belén Hermida Rodríguez, Juan Herreros Guerra, Eugenio Pandolfini, Salvador Pérez Arroyo, Gemma Peribáñez Ayala, Porras – La Casta arquitectos, Rubio y Álvarez-Sala, Federico Soriano Peláez, José Luis Vallejo Mateo, Gianpiero Venturini, West 8.